Encourage Educator VOICE! Try these five strategies for incorporating more teacher voice into your school setting. Interested in hosting your own Edcamp? Check out more information from the Edcamp Foundation on organizing your own event. You can even apply to receive an Edcamp in a Box kit to help you get started. Check out the Edcamp Model book from the Edcamp Foundation for additional information about running your own Edcamp. What did I learn after our 2nd Edcamp in my school district? Here are my reflections. It’s important to utilize staff meetings to change the culture surrounding professional development. Try these strategies for switching up staff meetings! Like those strategies, here are five more ideas for switching up staff meeting culture! Find the nearest #CoffeeEDU to join and share! Check out Creativity, Inc. from Ed Catmull about inspiring creativity based on the Pixar model. Use Smore to help you create an Underground Newsletter that you can easily share with colleagues and your PLN. Here is a sample 1-5-15 from Educator Rob Sahli. Check out some of his previous bulletins here. MicroLearning Videos – Use these videos to spark discussion and conversation as part of a MicroLearning Session! If you are not on Twitter yet, you SHOULD be. Check out this simple tutorial to sign up for an account. #LeadLAP – Saturday mornings at 10:30am EST for those late risers! 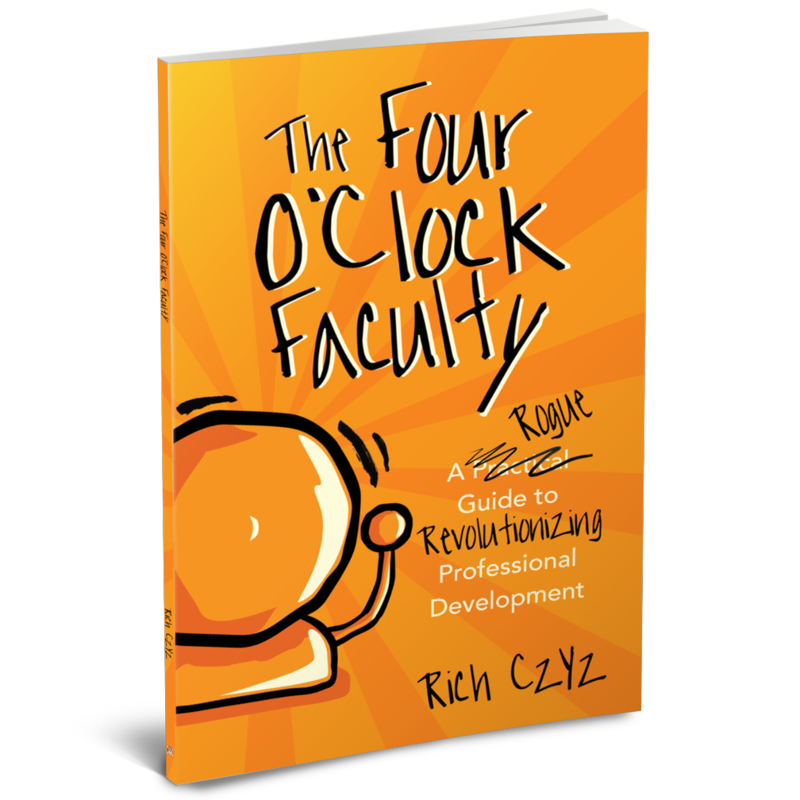 Share and connect with Four O’Clock Faculty via #4OCF on Twitter. Not on Voxer? It’s time to sign up and connect with other brilliant educators out there to expand your learning! By embracing isolation you can simplify your life! Try these strategies to make your life a little bit easier, and to leave more time for professional learning. Ask these reflection questions at the end of each day. Five easy steps. What problem have you been dealing with? Who’s going to help you solve it? It’s simple. List your Jam Session topics. Just PRINT, find some colleagues, and solve some problems! Want to do Genius Hour with your colleagues? Check out these resources. Information about the original FedEx Day from author Daniel Pink and more information about FedEx Day in Education can be found here. Want a simple way to document learning badges for a group of teachers? Try this simple to use tool from Flippity.net! 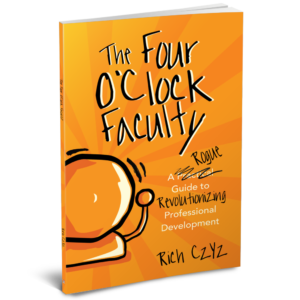 What responsibility do educators have to pay attention to Bad PD? Read about one controversial view from #4OCF Guest Blogger Donna Donner.